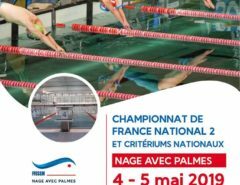 On the third day of the 20th CMAS World Championship in Finswimming for seniors held in Belgrade, the new world records were knocked down, by the most awarded competitors in this championship from Russia. The new world record in swimming at 400 meters BF was set by Russian Marija Patlasova (score time 03:44.92). Her countrymen in the men’s competition Dmitri Kurako and Vladimir Sidorov also did the same. At the end of this exciting day the Russian swimmers broke another world record in a 4×200 SF W relay in with feathers with a score time of 05:56.86. 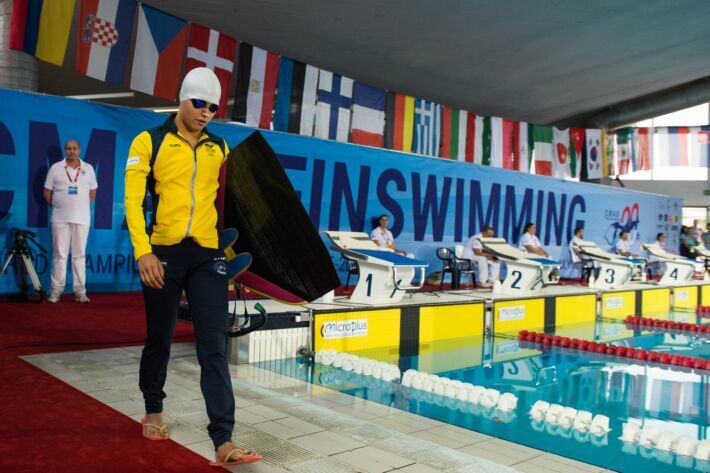 Greece’s representative in the discipline of 50 meters swimming with two feathers 19-year-old Christos Janis Bonias, won a gold medal after only six months of training! What a great success of the young talent! “So far I’ve been swimming, and since six months ago, I decided to train swimming with fin. This is my first competition and the first gold medal in this sport. I did not expect this result and I am very happy about it. I dedicate this gold medal to my best friend Dimitris Pavloanis who died two weeks ago from a heart attack on the pool. “Dimitris was my best friend with whom I grew up, we trained every day together, this is for him”, said the golden boy from Greece. Most sentimental moment of the third day of competition was during the playing of the Colombian national anthem when the country’s national team singing in choir, and when on the podium stood two graces of the sport and the pride of Colombia. Sang the national anthem with gold and with tears in eyes new world champion in the 50m SF W Paula Alejandro Aguirre Jo with a time 00:17:52 and silver girl Grace Fernandez Castillo (00:17.84). The fourth day of competition is the last in the pool “Milan Gale Muškatirović”, from Friday 20 July competitors goes to Ada Cignalija where we will have the opportunity to see Mataron at 6000 meters and 4×2000 meters relay in both categories. 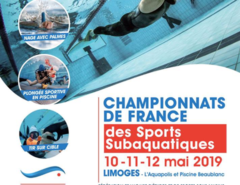 The final part of the championship and a wonderful week in which was paraded through Belgrade of more than a thousand representatives of the sport, will be the University competition in Finswimming by the Serbian Underwater Federation in agreement with CMAS and FISU. Universities Competition will be held on 21 and 22 July at the pool “Milan Gale Muškatirović”.